What is the purpose of the Budget 3 Door Locker? 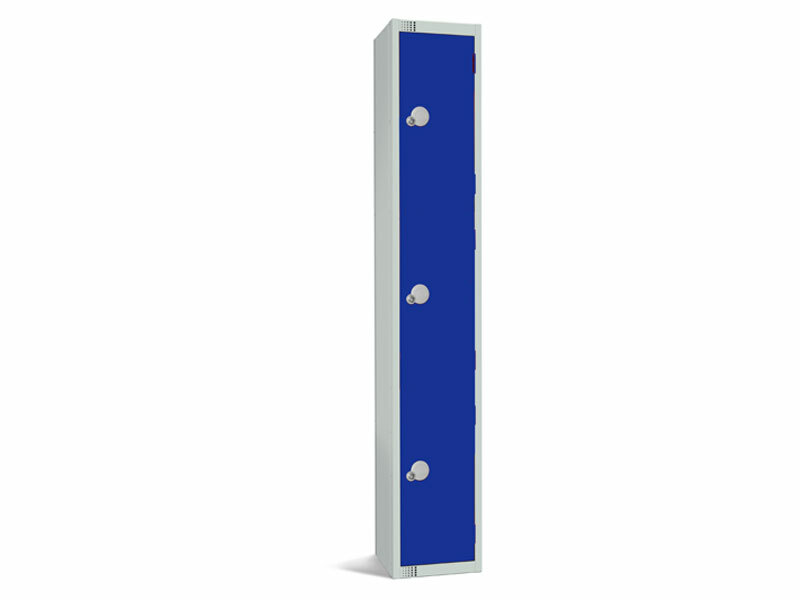 The Budget 3 Door Locker is designed to provide safe, reliable, hygienic storage in a variety of settings. In particular, this locker is ideal for storing personal items such as keys, books, or wallets. It is useful in schools and factories where personal items cannot be carried at all times. These lockers include an anti-bacterial powder coating and an airflow venting system, which help keep items clean and dry. 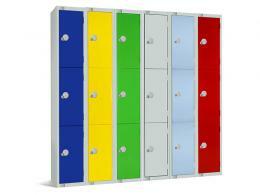 This three door economy locker can be used with other lockers for ample storage. This can be used in a variety of environments. With three compartments, they are perfect school lockers, gym lockers, office lockers, warehouse lockers, changing room lockers, gym lockers and anywhere that require staff lockers The anti-bacterial powder coating and airflow venting system makes this product great for use in hot or moist environments like gyms, swimming pools, and leisure centres. 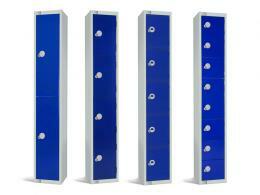 Students, professionals and many others might use a three door economy locker. Three students can store books or other items between classes. Three factory workers might store their keys, money, and other items while working. Patrons at a gym might store a change of clothes or an extra water bottle while working out. 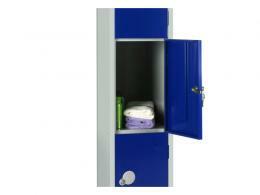 Anyone who needs a safe, hygienic storage space might use this three door economy locker.